I mentioned before, my hair salon asked me to stop coming to their shop. To be fair, the owner actually said, “We can only work on you if you bring someone to assist you.” They said they were afraid I would hurt myself. Well, since it usually took between 3 to 4 hours to complete, finding someone to stay that long in a hair salon was very tough. My husband volunteered but I knew he would be miserable. It was all women, everyone spoke Spanish and the TV stayed on Latin American television channels. That’s probably not his idea of a good time. Since being asked, “not to come back”, it has taken a while for me to find a new beauty parlor but now the search is over. I finally found another hair salon. It is in a local shopping mall. It’s a pretty high-end mall. There is a fee to park and they also offer valet parking. We don’t valet park but we found out that the mall will validate parking if you show a receipt from a purchase. The salon is nice and it cost more than the old place. To remedy that problem, I go every two weeks instead of once a week. By doing that, the amount I spend comes to about the same as before. The best part about the new salon is they work on me from my scooter. I never have to get up. Also, it is appointment only service instead of first come first serve. This cuts down my time in the salon to about an hour. So far, I am in love with my new accessible salon. Nice do! Did you get the bangs? Glad you found a more user friendly salon, looking good! Hey Nicole! It’s your old pacemaker friend from Ochsner. 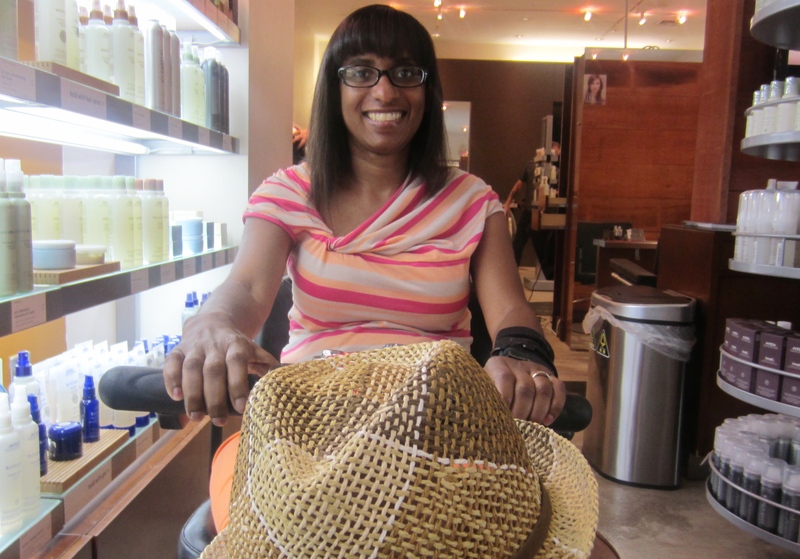 You look so pretty, I’m glad you found an accessible salon. I still keep up with you through your blog, I love reading it and your writing inspires me every single time . I love you girl, and I miss you, too! Deb, I didn’t know if you still read! it so good to hear from you! how are things going? it was really great to chat with you. I miss you too! Nicole, Like you, I get my color & cut all done in my scooter. I’m from nj and go to a jc penney salon in a mall. They have movable salon chairs so I can just pull in and when I had to rinse the last time I was there, I was able to back up into the sink without getting out of my scooter at all. It worked out very well. You look great, so glad you found a place that is right for you. Thanks for posting. Laura, you backed your scooter the sink? impressive! thank you very much. Happy that you found a solution, its definitely something most people take for granted. You look beautiful…added plus! Thanks for your posts, I am encouraged by your positive attitude, and I understand how difficult it can be to keep one! Nicole, thanks for giving me a great answer to my question if you had found a new place that would accommodate your needs. It may be pricey, but believe me you look wonderful. Besides, I don’t believe you want your husband to do your hair, do you? He’s so good at everything else, you have to cut him a break with something. 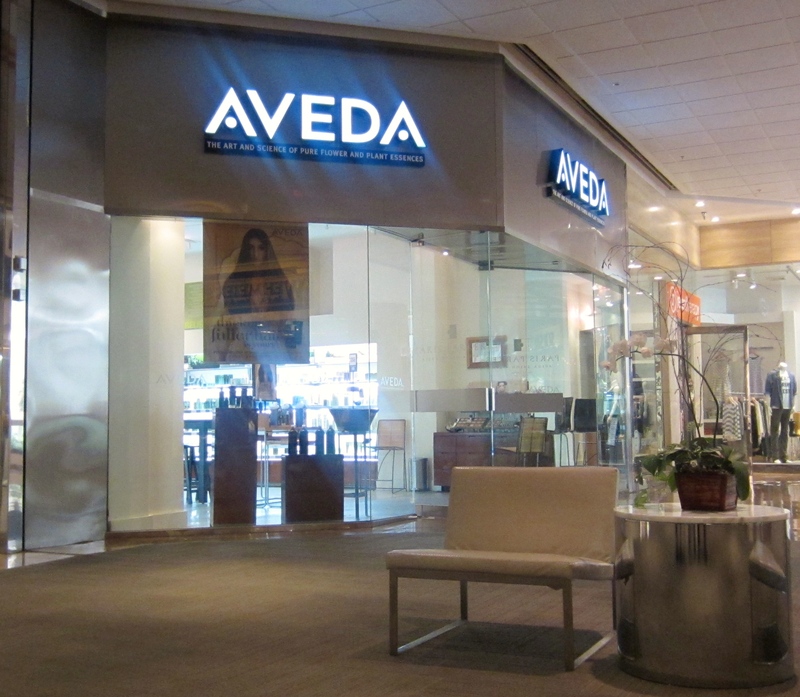 🙂 Kudos to Aveda for taking care of you – there are lots of great businesses out there who want our business. This blog makes me very happy. Laura Happy to clear things up! Thank you for the quotes of inspiration as they sustain us through the journey! It is wonderful that you found a salon to relax and rejuvenate. You are gorgeous ! I am so glad that you had a awesome day! Vivian, actually, the husband and find plenty of them. glad they help and thank you. Nicole, hear hear! You look wonderful and happy. I just started getting pedicures after years of only going to a podiatrist to cut my toe nails. The place I go for the pedicure is very accommodating and she was so gentle with my problem feet. Roberta, thanks it was a good day! That is so funny I just had to stop going to Aveda. The problem is the rinse chairs, I had such a had time getting in and out of them. I have a gal coming to my house this week let’s see. Liza, I apologize, I left out that my husband does that then leaves to swarm the mall. Good for you. This should be a “treat” not something you dread. You look great! I’m glad you found a place that is willing to work with you. I have heard that Aveda products are excellet, I can’t afford them myself. Another positive of finding the new place…you can actually have a full English conversation with your hair dresser! And you can look aroung the mall when you’re done (if you’re not completely wiped out!). Jennifer, I’m glad too! However, I get my hair done and leave, not because i’m tired but because that’s just about all I can afford! You look fab. I totally understand how you feel about salons. Sometimes it just pays to be comfortable and not have to feel bad for getting your hair done. And higher end salon appreciate our business regardless, whereas the cheap ones treat everyone like a factory. Lena,I didn’t think about that…it’s true. I am so glad that you found a new place. I LOVE Aveda products as the smell so lovely and they work. I can only afford the beauty school but none the less I adore their company. I admire how you found a solution to your problem and it seems like it is for the better. (Faster better service) You look as lovely as always. Sue, I heard about the school, I’ll keep that in mind. Oh, thanks too. I am so happy that you found an accessable salon! Quite often, I know these things seem small, but the feeling from those victories is huge! I am very excited for you! Laurie, The salon is great! But its really my husband who does the lifting from my wheelchair to the washing station! The salon allows it. So, I guess they are helping out!